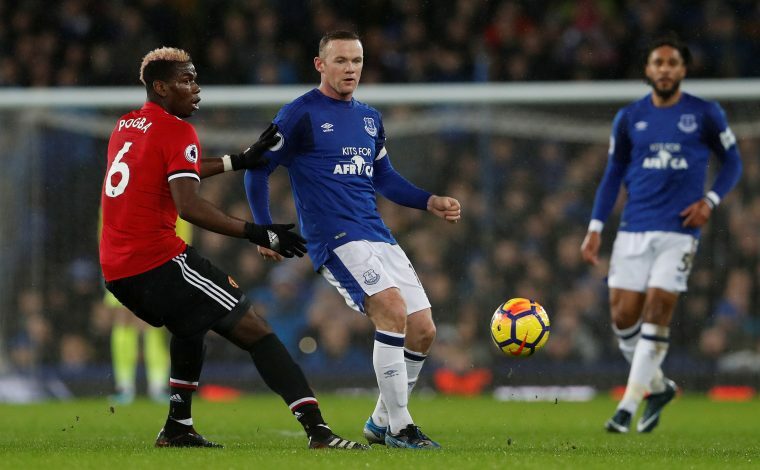 Manchester United kicked off 2018 with a bang – quite literally – as they secured a comfortable 2-0 win over Everton at Goodison Park. After a series of drab performances that brought about a run of three consecutive draws and one defeat, Jose Mourinho’s men finally turned up to a game and looked the part right from the off. Jesse Lingard and Anthony Martial scored two breathtaking goals to make it two defeats on the spin for Everton, while the victory sent United back up to second, two points ahead of Chelsea. For the first time in 13 years, Wayne Rooney put on the jersey of the home side in an Everton vs Manchester United fixture at Goodison Park. Rooney is a United legend and the club’s all-time record goalscorer, but he returned to the place where it all began last summer, and was a man on a mission today. However, with all the pre-match hype suggesting how Mourinho would have loved to have had Rooney during this current phase, where he is without the likes of both Zlatan Ibrahimovic and Romelu Lukaku, the former United captain didn’t really do much in the game to prove the point. The Englishman had a decent game, strutting his usual stuff with a work-rate that defies his age and an insatiable hunger to win. He was Everton’s most influential player for certain parts of the game in a more deeper role than he has been asked to occupy recently. Anyone who knows Rooney knows he would have hated being substituted after 61 minutes, but he had done enough and more than what was required of him. After the 1-2 defeat to Manchester City at Old Trafford, many United fans were holding on to the belief that had Paul Pogba not been out of the game with a suspension, they might have come away with all three points, let alone a single one. Two games later, the Frenchman returned to the fold, and was woeful, as the Reds suffered an incredible humiliation at the hands of Bristol City. He was equally poor in the games to follow, as United were held to draws against Leicester City, Burnley, and then Southampton. After that game against the Saints, United legend Paul Scholes hit out at Pogba, claiming that the midfielder was ‘strolling through games,’ and didn’t look like the player he was at Juventus. To say the 24-year-old’s response was superb would be an understatement. He was decent in the first half against the Toffees, and looked a bit out of sync initially. However, he was virtually unplayable in the second half, pulling off some ridiculous passes with some insane pieces of skill. Everton just couldn’t handle him. If he keeps this up for the rest of the season, United may just have some hope of securing silverware, with the FA Cup and the Champions League still there for the taking. ‘Jesse, the English Messi’ is the phrase that has been doing its rounds on social media over the past few weeks. After his sensational effort against the Toffees, you’d be tempted to agree. 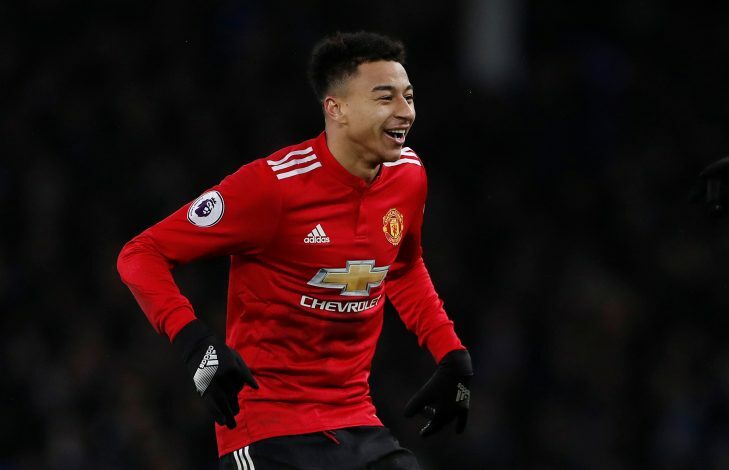 For the most part, Lingard looked like one of those United academy graduates who would be a very important squad player, but never a consistent starter or a world-class player when he started to break into the first team set up. While saying he is a world-class player might be a bit of a stretch at this point in time, he certainly looks like he could be on the road to that title someday. Lingard is hardly a young player anymore at the age of 25, and is definitely what you would call a late bloomer. However, if there was ever a time for him to finally take his game to the next level, it would be now, and he appears as though he is taking every match by the scruff of the neck. He looked decent against the Toffees for most of the game, but in one moment of magic, he burst through a hapless Everton defense and unleashed a sensational curler into the top of the net. If you think the description of that goal sounds awfully familiar, you should probably look up a montage of a certain Lionel Messi’s best goals on YouTube. Sam Allardyce has done a fantastic job since arriving in Merseyside to take over from the sacked Ronald Koeman, but he is aware that a lot more work needs to be done before he can get Everton to a place in the table that many expected them to be at after their massive summer splurge. Make no mistake, the former England manager’s side was poor against United, but there were quite a few positives to look at. Yannick Bolasie made a crucial return to action, while Nikola Vlasic and Oumar Niasse offered variety going forward. Aaron Lennon continues to be a threat when he plays, and a mixture of youth, experience and pace can only serve to do Everton a load of good in the coming weeks. This was their second consecutive defeat, but there is clearly a shift in spirits at the club, and one can only hope that it serves to have a positive result on where Everton eventually finish in the table. After a poor display up front against Southampton, where United were held to a 0-0 draw, fans were vexed with their side’s lack of attacking intent. There were no such complaints in this game though, as Mourinho’s men always looked likely to score first, which they did. The manner in which they scored both their goals will deservedly grab most of the headlines, as two absolute jaw-droppers from Anthony Martial and Jesse Lingard secured the three points. However, what will be of particular concern to Mourinho is his side’s apparent lack of a focal point in the absence of Lukaku and Ibrahimovic. As good a player as Martial is, he tends to drift more towards the left wing and come in from there, rather than staying in one position the entire game. Despite the fact that this does add to the fluidity of the side, it also means that United do not have anyone who they are really searching for in the opposition box to score the goals. Yes, Martial did score, but that was from outside the area. 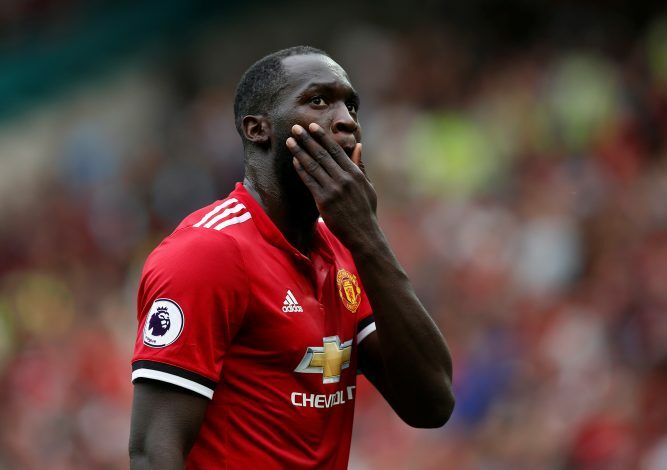 With Rashford failing to take his chance when Lukaku went off with a head injury early on against Southampton, it is evident that United are in dire need of an out and out center-forward to help ease the burden on their Belgian frontman.